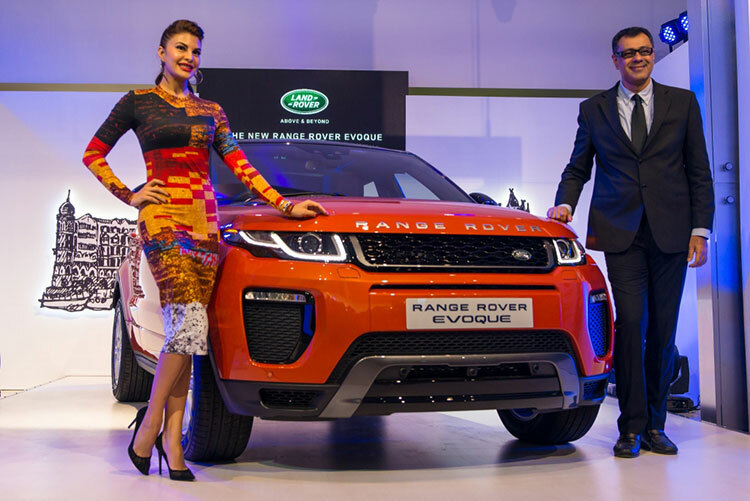 Land Rover today launched its luxury SUV, the 2016 Model Year New Range Rover Evoque with prices starting from INR 47.1 Lacs (ex-showroom, pre-octroi in Mumbai). The New Range Rover Evoque features a comprehensive range of new design elements and technologies to reinforce its style, glamour, luxury and status appeal. With its distinctive design, the New Range Rover Evoque is the ultimate statement of style and luxury for the young at heart. This luxury SUV has been setting benchmarks in the industry since its launch and with the introduction of the 2016 Model Year, we are confident of its continued success. Evoque’s highly desirable design is a hallmark of this luxurious SUV. The introduction of the slim-line LED fog-lamps and a noticeably wider tow-eye cover enhance the new front bumper design. The enlarged air intakes allude to its sporting character and create a more planted stance and further emphasize Evoque’s assertive road presence. Two new grille designs are available in a range of premium finishes. Evoque’s standard grille is distinguished by two bold horizontal bars and a new fine-mesh grille pattern. Dynamic derivative features a hexagonal design, and its more prominent mesh area lends a suitably performance-oriented character to this sporting derivative. The LED Day-time Running Lights (DRLs) have a new shape creating a distinctive signature which also serves as the directional indicator. Among other new features of the New Range Rover Evoque is an innovative Gesture Tailgate function that adds a new dimension to the luxurious ownership experience. It allows customers to automatically open and close the tailgate by waving a foot beneath the rear bumper. Further, the Customer Configurable Mood Lighting, with a range of ten colours, is controlled via the Touch-screen and the brightness can be dialed up or down to suit every occasion. At launch, the New Range Rover Evoque is equipped with a 2.2 Litre, four-cylinder turbocharged diesel engine that delivers 140 kW at 3,500 rpm with a maximum torque of 420 Nm at 1,750 rpm.